Sister Sarah's Table No 1 on the Quintessence Blog! 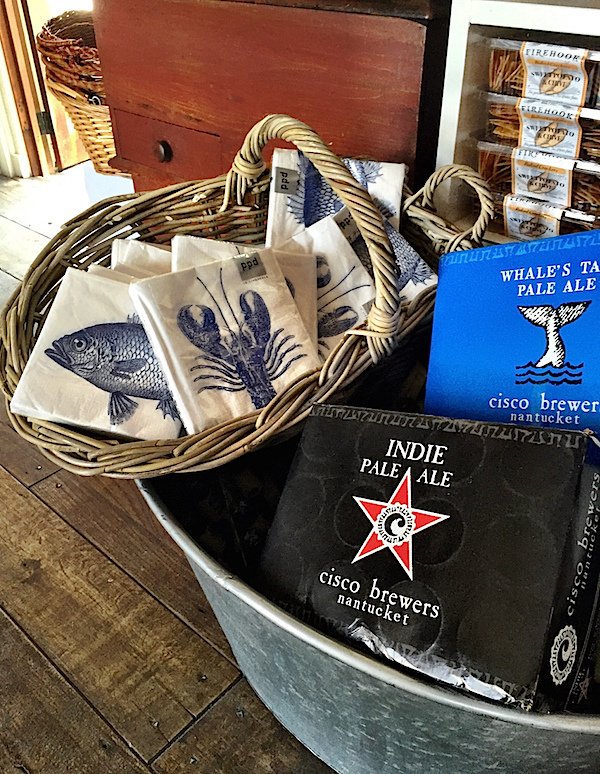 While there are many mainstays on the island, shopping the wharf on Nantucket can be a little like musical chairs. Some businesses start here and then move on “uptown” to more permanent lodgings but some remain, finding a fit with the seasonal charm of the small shop spaces. This week I took a trip to see what was new. My first destination was Table No. 1, Sarah Powers’ new wine and cheese emporium. A seasoned professional with years of experience helping to market a variety of international lifestyle brands with a focus on food, fine wines and spirits, from Champagne Krug and Cakebread Cellars to Johnny Walker Blue and the Wines of Chile, Sarah’s passion is to spread the word about these people and their brands, as well as the many other farmers and artisans she has met along the way. These include the makers of her curated list of favorite wines, farmstead cheeses and charcuterie, whether from local sources or around the world. or, the latest addition, Sarah’s sister Lulu Powers‘ wonderful cookbook, Table No. 1 has you covered. In addition to providing provisions, Table No. 1 also assembles beautiful entertaining platters and tasting plates (a couple from their Instagram feed below), hosts private evenings, cellar stocking, catering and of course wine gift cases or gift cards. And if you’re wondering about the name, the explanation will give you a better idea of the spirit of Table No. 1. When the Powers family was initially disappointed to be seated at Table #83 at a wedding, Sarah’s father Jimmy decided that they were all in need of an attitude adjustment. He reminded them that no matter where you are seated, if you are surrounded by family, great food and conversation, then you are in fact at Table No. 1. Sarah thinks of this lesson daily and welcomes you to experience the type of hospitality that comes from a positive attitude at Table No. 1! Stop back next time for more shopping the wharf on Nantucket.